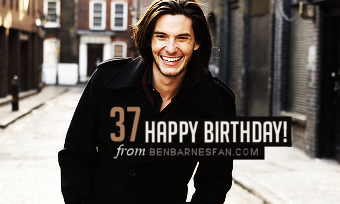 Happy 36th Birthday, Ben Barnes! brand new outtakes from an old photoshoot he did back in 2013 to our gallery. 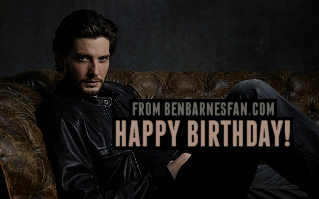 All of us here at Ben Barnes Fan want to wish you a Happy 36th Birthday! Ben will be making an appearance at a concert celebrating the 40th anniversary of the NYMT on October 30th at the Adelphi Theatre in London. Tickets are on sale now. An all star concert to celebrate the 40th Anniversary of the National Youth Music Theatre. With appearances from past, present, and future students including* Lily James, Matt Lucas, Gina Beck, Jason Robert Brown, Lara Pulver, Ben Barnes, Simon Thomas, Gavin Spokes, Stuart Matthew Price, Jasper Britton and Toby Jones. Featuring an array of performances celebrating the last 40 years of NYMT, and some previews of what is to come. The National Youth Music Theatre represents the very best in work with young people through musical theatre enabling thousands of youngsters across the UK to develop both their creative and personal potential.